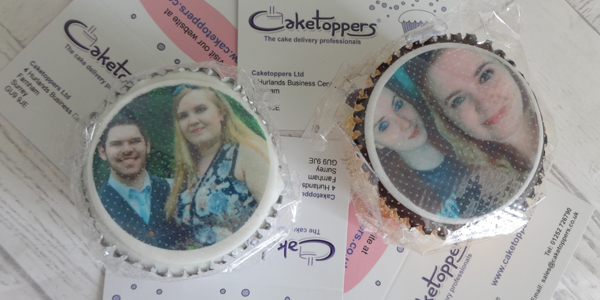 Last month the lovely people at Cake Toppers got in contact with me about their cupcakes! I, a self confessed food lover, said yes without hesitation. I mean... IT'S CAKE!! 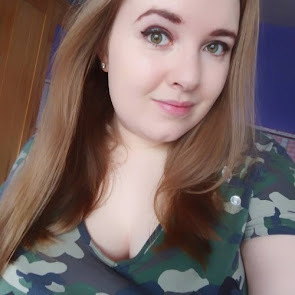 After sending them two images I'd like on the cupcakes, I had a bit more of a look around their site, and saw they done way more than just cupcakes! There are birthday cakes, wedding cakes, DISNEY CAKES, and much more. In fact, I've since bought more of their cupcakes for my birthday tomorrow (yay being 24! ), and they will be arriving sometime within the hour after this post goes live... So spoiler alert - I loved these. They were super lovely and sent me both a vanilla/plain cake, and a chocolate one! Silver casing seems to be for the vanilla flavours, and gold for the chocolate. 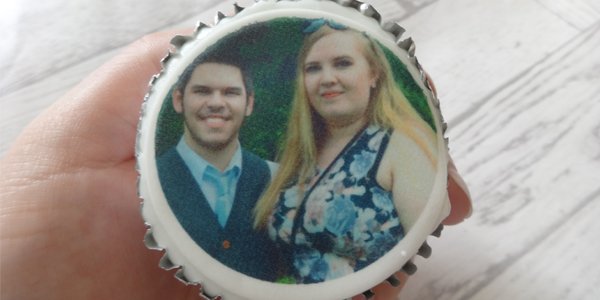 The thing I love about Cake Toppers, is that they print the images onto the icing, rather than using rice paper - which isn't something a lot of people like. 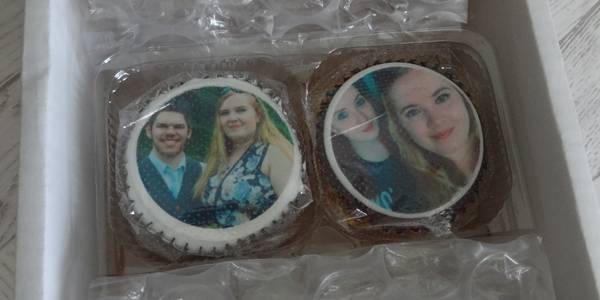 The images I sent were relatively high quality, so I'm glad this was reflected in the images on the icing. The cupcakes arrived in a nice little box with bubble wrap for protection, and in a plastic holder, as well as both being individually wrapped. There was also a sheet with the ingredients - which is a lifesaver for someone like me with a nut allergy! I was also sent some business cards of theirs, which I've since handed out to some friends and family! My face has never tasted so yummy. 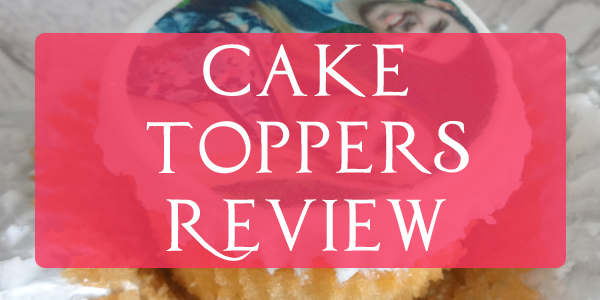 Both cakes were super delicious and the icing on the chocolate one was really rich, but made it even better! 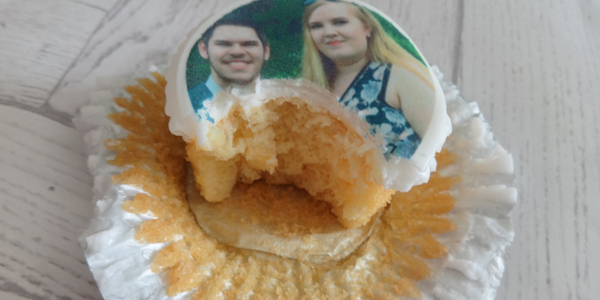 If you're interested in trying them out, you can get a single cake with the p+p for £5.95, or you can try 6 cupcakes with different images on for £13.49! You can try these out yourself with a pretty little 10% off your order with the code 'TMB10'. These would be great as a gift or for a party if you wanted customized cakes for the guests!